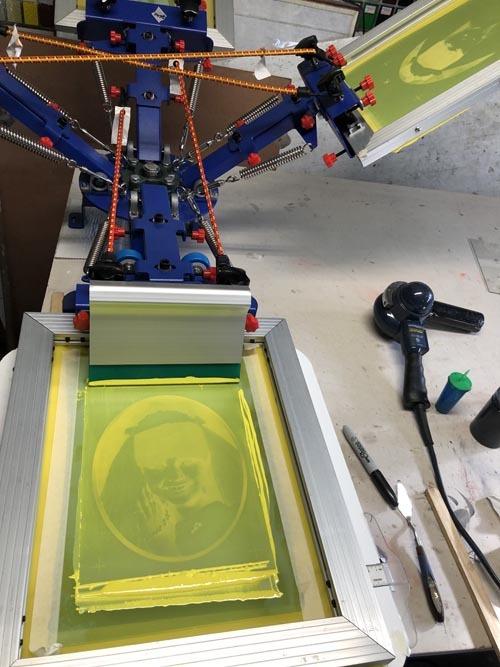 Screen printing on glass (also know as silk screening) is one of the oldest methods of printmaking. 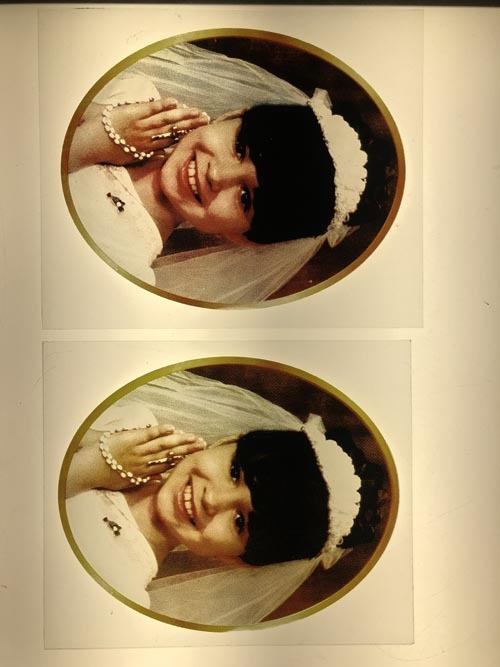 The process involves creating a stencil of an image on a screen of porous mesh, traditionally made of silk . 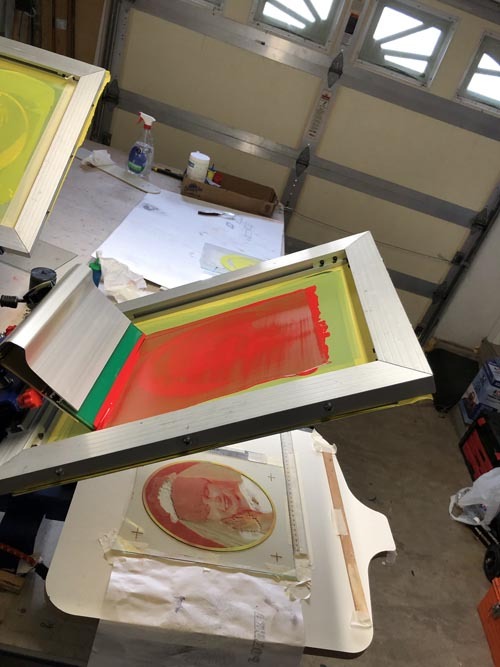 A squeegee is used to pull paint over stencil , forcing it through the mesh onto the glass being printed. 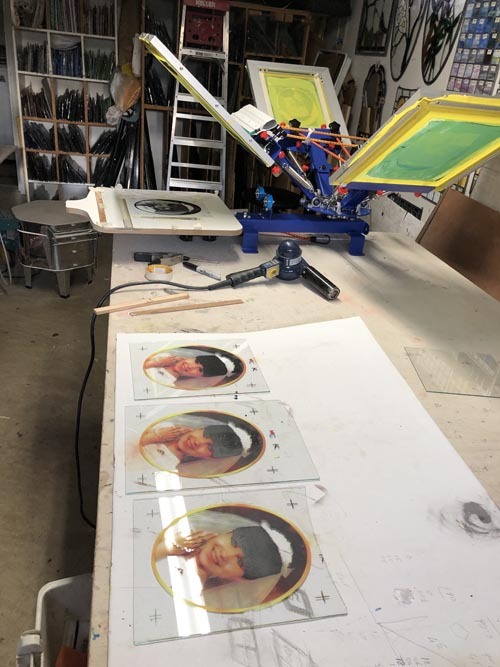 The screen printing process has multiple steps. 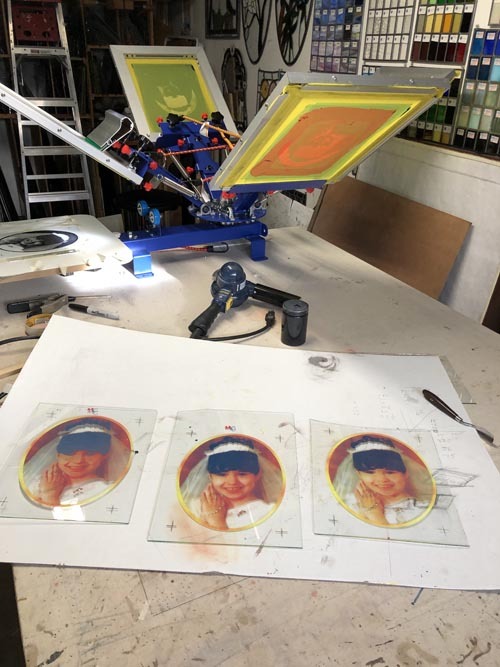 The screen are coated with a light sensitive emulsion , and exposed using a positive image from digitally printed film. 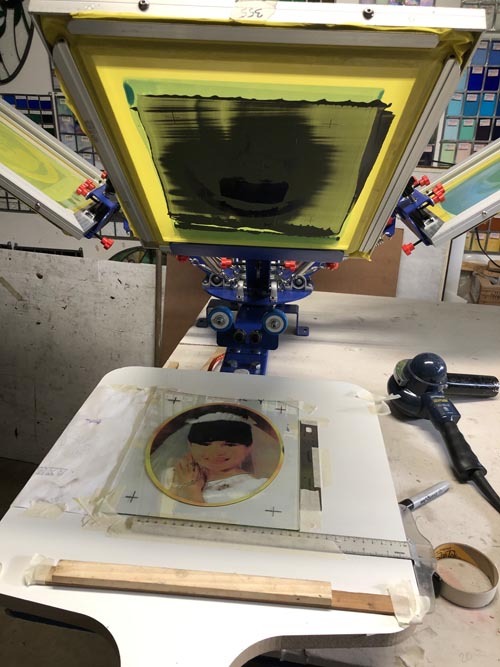 The positive is positioned directly on the light table and the screen placed over the positive, print side down. 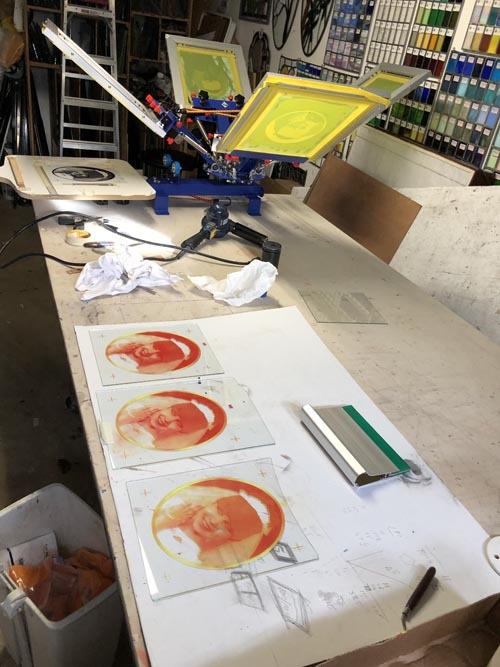 The emulsion hardens when exposed to light and remains soft , water- soluble where the positive blocks the light. 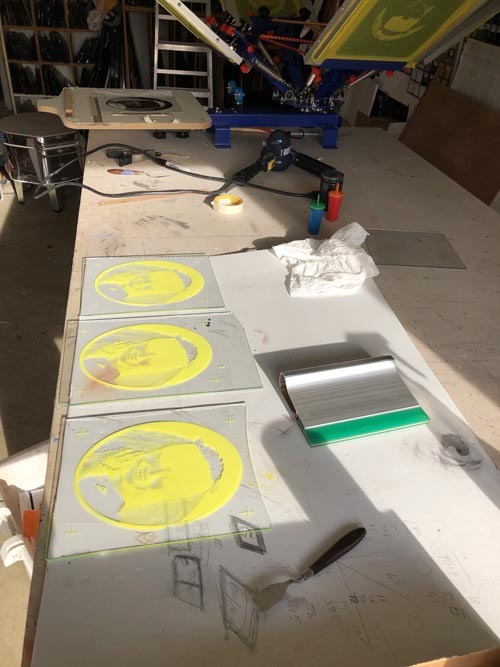 After exposure we rinse away the soft emulsion. 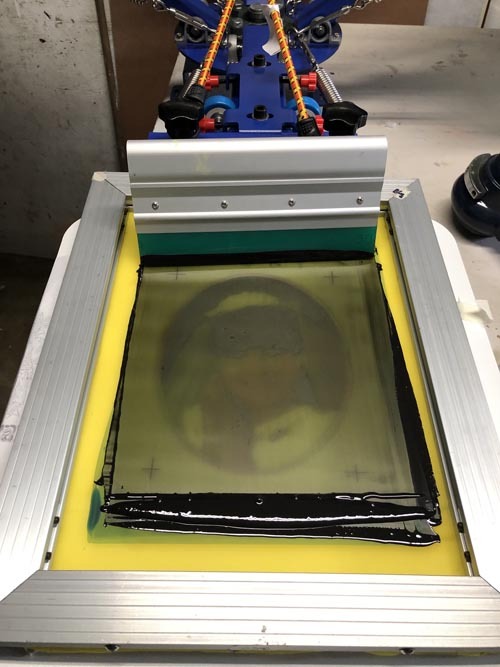 Once the screen has dried completely , we lock the screen on press. 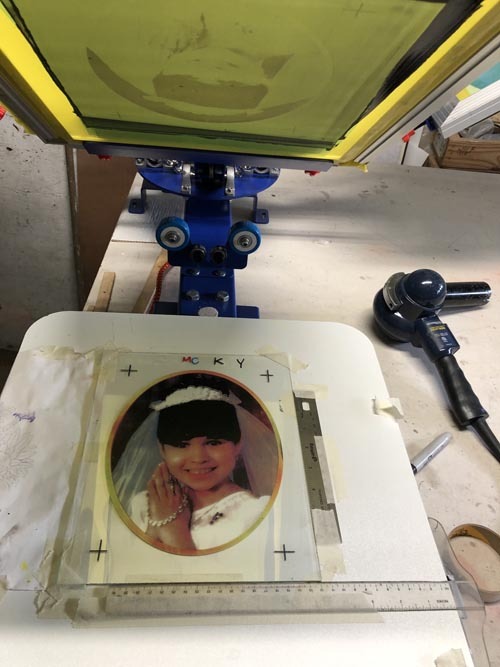 We offer both single color and multicolor screen printing on glass , however multicolor screen printing require a separate screen and pass squeegee for each color.